Hi! It's JoAnn from JoBoogie Stamping and it's time for another Theme Week! 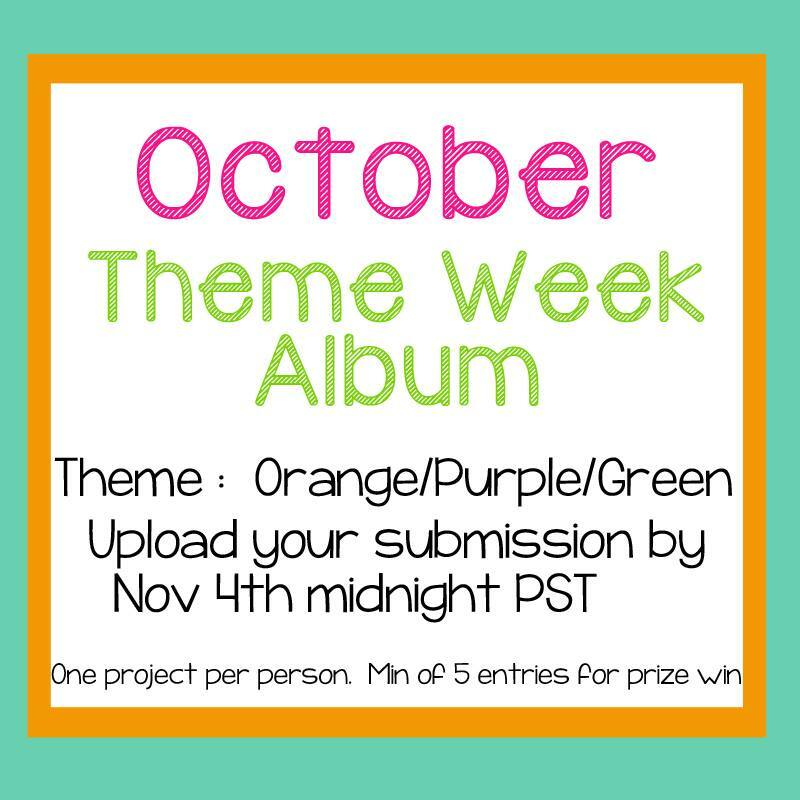 So here we go for October's Theme Week! 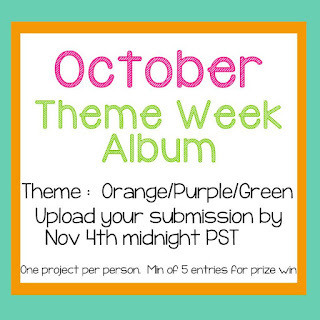 Make ANY project that is inspired by the colors ORANGE, PURPLE, AND GREEN! 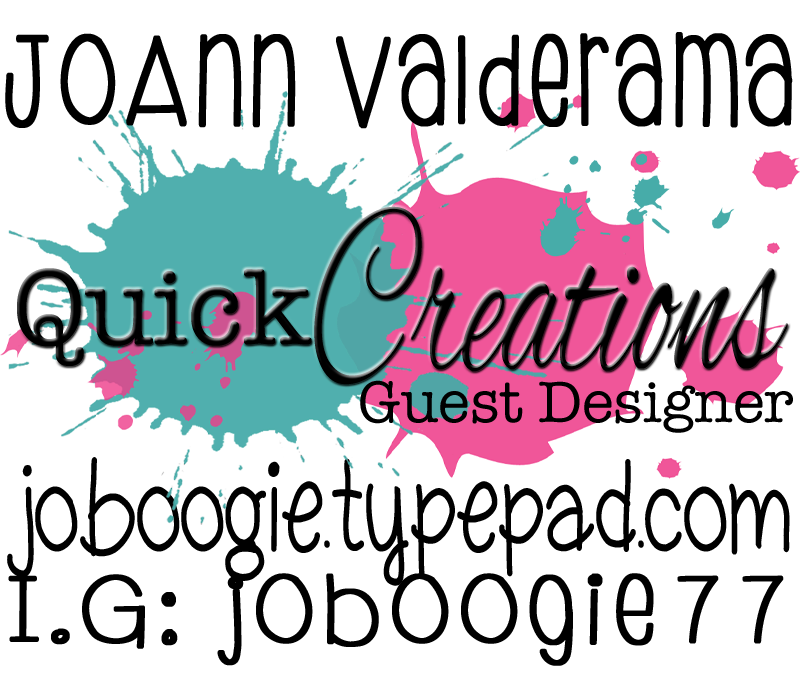 JoAnn from JoBoogie Stamping here as a guest designer for Quick Creations! I'm super happy Noelle asked me to stay on for a couple more months - I have a few ideas and projects up my sleeve! Here's my card for today! I thought it would be fun to create a little night scene for this adorable little cat! I layered the papers from the Doodlebug 6x6 paper pad to create a fun look. I think it came out perfect, don't you? Thanks so much for stopping by! Be sure to check out Quick Creations and pre-order these and more! Have a Happy October! Its Ugly Sweater season coming upon us, Lorraine is ready, are you? Lorraine is available in the store TODAY along with the other 2 stamps we show you this week!! Ugly sweater season is my FAVORITE! I've always wanted to host an ugly sweater party and even though I always get vetoed by my friends and family, at least I have this cutie Lorraine to play with! I colored her up with my Copics and got her ready for Fall and Christmas! I added some die cut circles and BAM! I've got a card! Here is the project I made for today! My Diana is so ready for Fall and cooler weather! I colored her up with my Copics and used more of that Echo Park patterned paper to match. :) I'm really loving this color combo! I colored up this adorable Annie with my Copics and used some Fall-themed paper to match! I think she's just so cute and the sentiment (it comes in the image set!) is so perfect for her! I really love this card and it makes me so excited for Fall! I just LOVE boots and scarves season, don't you?